Here's your chance! Get $5 Standard Shipping on orders of $50 or more! Hurry, offer expires 11:59 EST Sunday, May 3, 2009. Just enter Coupon Code CFWFVE during checkout. It may have officially happened on March 20, but it's the bursts of color outside that make it feel like spring is really here. 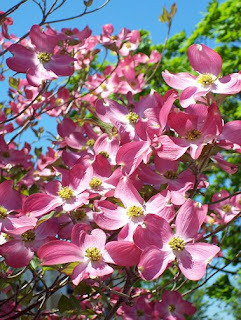 Each day during the bloom of spring, CWDkids employees get to enjoy the beautiful sight of this gorgeous pink dogwood tree outside our building in Richmond, VA.
Our Creative Director Kelly, took this lovely shot before the tree loses its precious flowers and goes all green for the summer. It's the only tree that has survived in its spot and was a gift on our 10 year anniversary from vendor Basically Kids. Tonight, April 29, from 5:00pm -10:00pm Nationwide, get 31-Cent scoops at Baskin Robins! Click Here for more info. Welcome to Wednesday Deal of the Day! Each Wednesday we will mark down one item at least 50%, if not more for one day only. Since today marks our initial Wednesday one day markdown, we decided to celebrate by reducing not one, but six items! 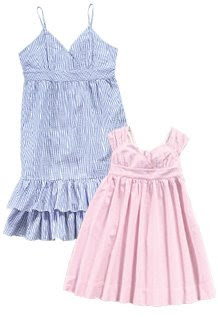 Check out these great Ralph Lauren dresses for only $25 each! Jim, and Mary Lou just returned from one of their many merchandising trips to New York City. They spend many hours meeting with various vendors during Market to view new product lines and decide what to buy for CWDkids. Last week Jim and Mary Lou spent a large portion of their time at Polo Ralph Lauren to view their new Cruise 2009 wear, inspired by the casual lifestyle of Tulum, Mexico. Below is an image of Ralph Lauren's spring 2009 line. This is designed by RL's team to capture the lifestyle of the clothing and really embody how they envision the upcoming season. Each outfit is meticulously put together and accessorised to provide a complete snapshot of their design and inspiration as they present to potential buyers. Jim met with our RL sales representative, where a sample of each item is available to view up close. It's a chance to discuss fashion trends, touch and feel the fabrics and select which items we predict our customers will love. After several meetings, product views, and crunching numbers , Jim and Mary Lou feel it was a successful trip and returned to Richmond with some great new styles we certainly hope you will love! Introducing Wednesday Deal of the Day! 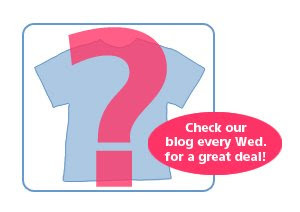 One item will be marked down each Wednesday for one day only and posted on our blog and Facebook Fan Page. The discount will be at least 50% off, if not more! What will this Wednesday's deal be? Come back to find out! 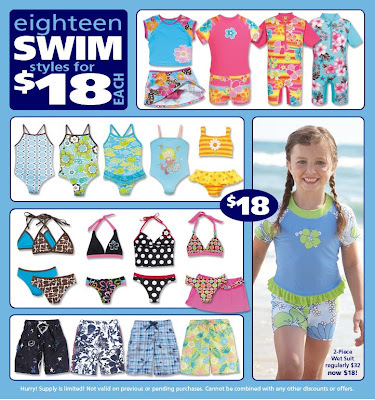 Hurry, 18 Swimsuits are on sale for $18 each! Sale is going on only while supplies last, don't miss out! Many of us here at CWDkids are mom's, mom's-to-be, aunt's and uncles. We all love sharing stories about our little ones, the things they said or did that made us laugh (or scream), tips on parenting, fun ideas, and of course clothing! Today is Earth Day! A day designed to inspire awareness and appreciation for the Earth's environment. Did you know that the first Earth Day was celebrated on April 22, 1970? Earth Day was started by Senator Gaylord Nelson, a Democratic politician from Wisconsin, to encourage Americans to start taking care of the environment. Take a look here on Kaboose.com to learn more about the history of Earth Day and to find many ideas that you can share with your children to get them involved in saving our planet. 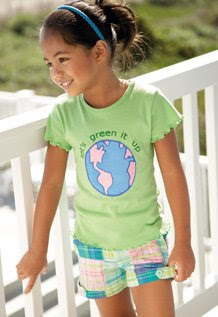 At CWDkids, we are doing our part by carrying 100% Organic cotton t-shirts from Mulberribush. Also, we mail our clothing in recyclable plastic envelopes and recycle all paper materials at our office. Here are some other fun "green" links you might enjoy! CWDkids New Store is Open for Business! CWDkids is thrilled to announce the Grand Opening of our newly expanded store location at the Gayton Crossing shopping center in Richmond, VA! We've consolidated stores and doubled in size making this our one location, consisting of outlet and regular priced merchandise. 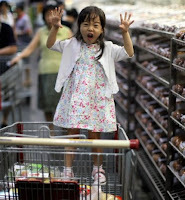 The retail store chain originated in 1979 and was initially called Small People. 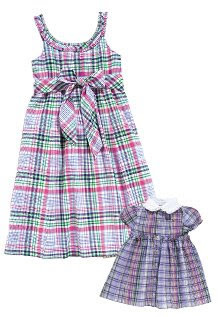 Due to the success of carrying high quality children's clothing at a discount, one store quickly grew to seven stores throughout the greater Richmond area. Success continued and the mail order catalog came into production in 1987. Not long after we mailed our fist catalogs, the company was renamed Children's Wear Digest, then later shortened to CWDkids. CWDkids Retail Staff working hard to get merchandise on the floor! 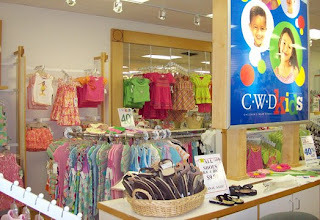 Since the launch of our web site, www.cwdkids.com, in 1997, the business began to shift focus from brick-and-mortar retail to the catalog and Internet. We've doubled the size of the Gayton location where we carry both outlet and regular priced merchandise, and are officially open for business! Our team has put in a lot of hours creating a fresh and friendly atmosphere. If you live in Richmond, or happen to be in the Richmond area, please stop in and take a peek at our new look! Visit Us! - Print this blog post and bring it into our store to receive 10% off your purchase during the month of May! One time use only. On April 1 we posted a contest asking our readers to tell us about their favorite outfit. We received some great feedback, but forgot to post the winner last Monday! Please accept our apologies. "My son loves to to use his imagination and is really excited about summer so he can finally play outside a lot. 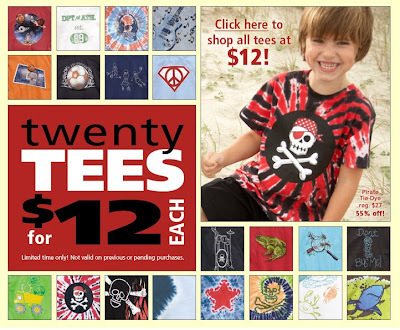 I love the pirate t-shirts -- they are really cute and they go well with his imaginative play -- he loves pirates!" "Hoo" Ever Stays In Bed, Gets A Treat! As a first time expectant mother (due 7/25!) I tend to stop and listen to conversations regarding children and parenting. Many of my co-workers have young children, so I love listing to the joys (and trials) of raising these amazing little people! Recently a few women in my office have been discussing the nighttime routine, the tips and tricks, and challenges involved. This time, I actually had something to contribute because of fun tip that my sister swears by. 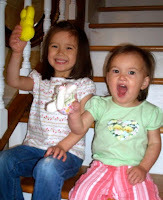 I have two nieces, Julia 3.5 (that's Julia in her Hatley owl pj's) and Elise 1.5. They both go to bed go to bed fairly easily, however, staying in bed is the challenge. Here's what she came up with: Julia's Bedtime Sticker Chart. You don't need to limit this to sleep. Try an eating chart, behavior chart, or potty training chart. Share your ideas with us and let us know what works for you! 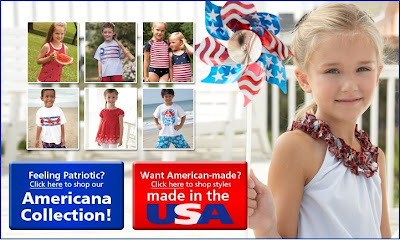 Shop our Made in the USA and Americana Selections and sport your American pride! Lot's of brother/sister options for the upcoming holiday's and summer outings. Start Shopping Now! How Cool a Grandparent Are You? 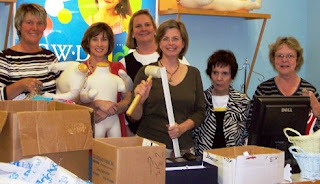 Many of us here at CWDkids are mom's, mom's-to-be, or aunt's and uncles. We all love sharing stories about our little ones, the things they said or did that made us laugh (or scream), tips on parenting, fun ideas, and of course clothing! I went to my sister's house on Easter and my 3 1/2 year old niece, Fiona was so excited to tell me all about the cake she made earlier that day. She picked out the "fun-fetti" mix and "decorated" it herself. There was an on-going countdown to 6:00 PM, the time after dinner she was told we could have the cake. When 6:00 struck she could barely contain her excitement. I stood next to her admiring her decorating skills and said "Wow! Pink, and yellow, and purple bunnies? That's silly! Have you EVER seen a purple bunny?" She turned, looked and me and said quite matter-of fact, "Yes, Aunt Kelly, I have in my imagination." 20 Tee Shirts for $12 Each! Check them out here, plus other great tee deals! Limited time only. 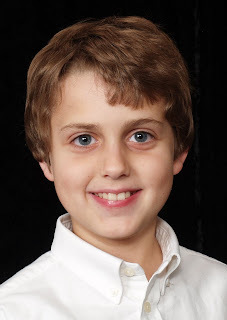 You may remember Jonathan Ross, one of the CWDkids Care Contest finalists from last year. Jonathan, along with the help of his mother, started a fundraising project and created a cookbook of celebrity recipes called H.U.G.S. (Help Us Give Support). He sold the cookbook to help raise money for his church mission trips to Peru. Well, Jonathan contacted us again to let us know that next summer, he will be old enough to travel with his church on their 2010 mission to Peru! CWDkids will be donating tee-shirts that he can bring to the children there who so desperately need them. When asked about his experience with HUGS and his upcoming trip, Jonathan said "It seems hard to do good, but when you think about it, its not hard at all." Read more about his story in the Herald-Dispatch here. You can also read more about Jonathan on his web site and see how he inspired his sister to create H.U.G.S 2!! Do you know a child who inspires others? 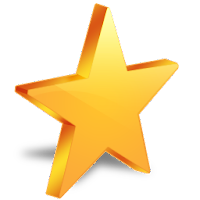 Nominate them for our 2009 CWDkids Care Contest! For your musically inclined kids, or for kids who just love music, check out CWDkids selection of "rock" inspired gear! Hip guitar screen prints, musical notes, and surfer style skulls will have them rockin' in the USA! 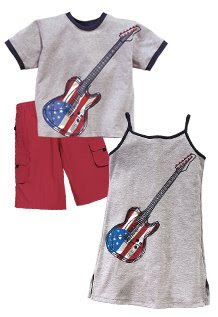 These matching brother/sister Americana guitar themed outfits are perfect for a Memorial Day or 4th of July blast. Even better, the shirt and dress are Made in the USA and the tee is 100% certified organic cotton. We've extended this great offer! You have ONE MORE DAY to receive 15% off any order!! This includes sale items, and no minimum purchase is required. Hurry, this offer WILL expire at 11:59 EST on Tuesday, April 14th! 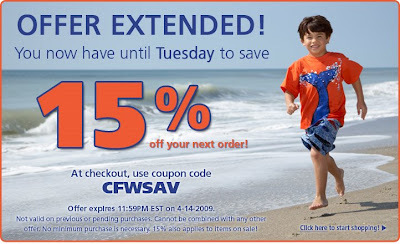 Just enter Coupon Code CFWSAV during checkout. Start Shopping Now! If you are a Sound of Music fan, we thought you might enjoy this funny video we found on YouTube. Keep watching the whole way through, it's really cute! Watch the YouTube video with your kids, then watch the movie this Easter weekend Saturday or Sunday night on the ABC Family channel! 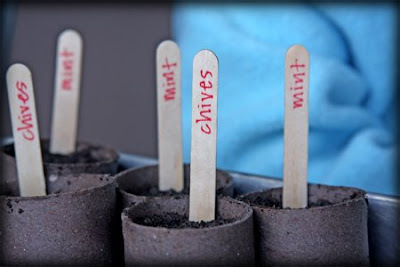 We love these gardening ideas from Simple Mom. Gardening is a wonderful way to get your children outside while also teaching them how plants are grown. Take a look here to find some great ideas to get your family started. Kids will love making a "pizza planter" by filling a pot with a tomato plant, oregano, basil, and thyme. Pizza night is more fun when the kids get to harvest their own ingredients and toppings they grew themselves! Send us a photo of your garden. We would love to see what your family creates! Spring is beginning to arrive in many parts of the country. 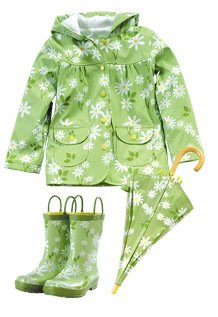 That means warmer temperatures and RAIN…We have lots of adorable rain gear to keep your children dry. 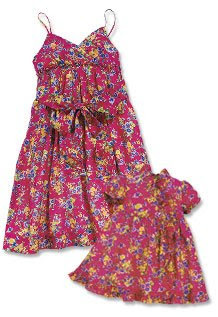 Please take a look at our fashionable rain coats, boots, and umbrellas for girl's and boy's made by Hatley this spring. Pull up handles make the rubber boots easy to put on, and the nylon umbrella features a child-safe design. So let them jump in the puddles and twirl their umbrellas...rainy days have never been more fun! Contest - We want to see YOUR CWDkids! We are looking for the CWDkid of the Summer! Post a photo of your child (or children) wearing a CWDkids outfit on our Facebook Fan page, and one lucky fan will be chosen to win a $500 CWDkids gift certificate!! If you are not already a CWDkids Facebook Fan, click here to register, and become a fan today! Remember, you children must be wearing a CWDkids outfit, and you must post their photo on our our Facebook Fan page. You have from now until August 1st, 2009 to post your photos. We can't wait to see them, Good Luck! 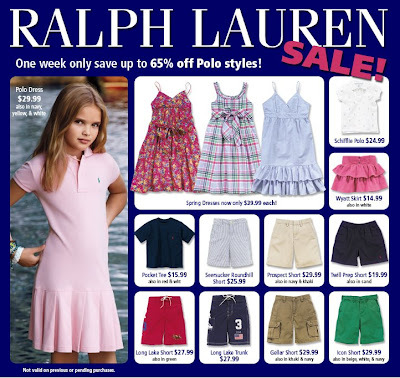 Start shopping our Polo Ralph Lauren Sale now! For one week only save up to 65% off popular styles! 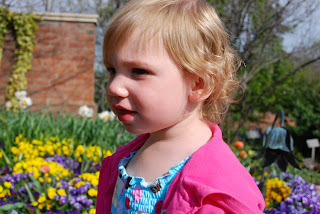 Picks For Parents - Tips For The Easter Bunny! 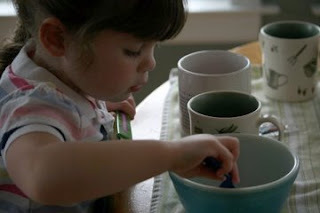 We found some great Easter ideas to share with you on Tots Trends Weekly. 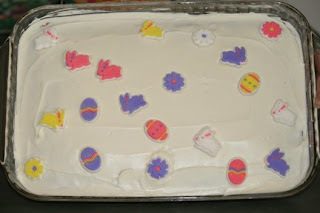 This week's newsletter provides a delicious Easter menu and healthy ideas for your children's Easter baskets. We can't wait to make their Cinnamon Apple French Toast! Get creative! Just remember the Easter Bunny doesn't have to mean sugar and sweets, there are other more fun options that your kids will appreciate just as much. 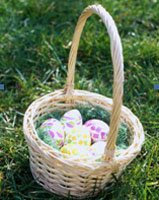 Instead of candy, fill up Easter baskets with art supplies, a new DVD, or book. This weekly newsletter gives lots of suggestions that will not only surprise your children but also keep them entertained! 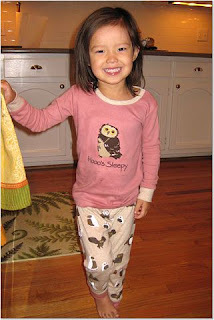 Sleepwear Sale - One Week Only! Scroll down for our $50 Gift Certificate Giveaway! Select Sleepwear on Sale Now! 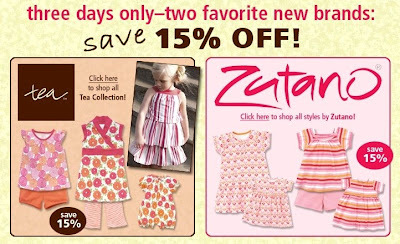 Sara's Prints, Hatley, and More only $15.99-$19.99 for One Week Only!! You have until Sunday, April 12th to leave your comments. The winner will be announced right here on Kidbits on Monday, April 13th. You must come back to claim your prize.